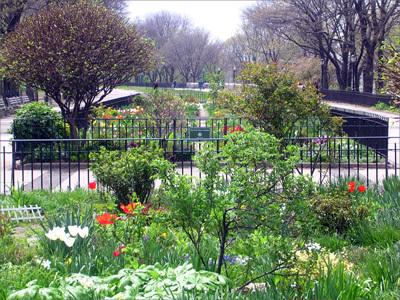 There is a communal garden in Annemarie’s neighborhood on Riverside Drive. It is taken care of by volunteer gardeners. Like many communal gardens, the garden people’s garden was originally located on a remote piece of land in between two buildings. When this land started being developed, the city planning department offered the spot on Riverside Drive as a replacement for the garden.